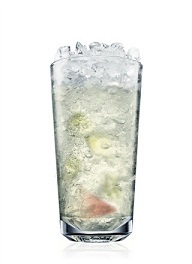 The Greyhound Cocktail is a Vodka and Grapefruit juice cocktail served in a highball glass with ice. For an Absolut Greyhound use Absolut Vodka and pink grapefruit juice. For a Salty Dog - Rim the glass with salt.